• Granular • 4 species Endomycorrhizae • 60,000 Propagules per lb. • Granular • 4 species Endo & 7 species Ecto • 60,000 Endo & 110 million Ecto Propagules per lb. 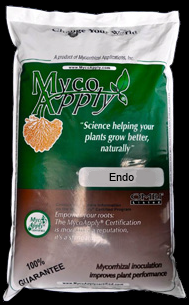 • Powder (can pass a #50 screen) • 4 species Endomycorrhizae • 100,000 Propagules per lb. • Powder (can pass a #70 screen) • 4 species Endomycorrhizae • 130,000 Propagules per lb. • Powder (can pass a #50 screen) • 4 species Endo & 7 species Ecto • 100,000 Endo & 110 million Ecto Propagules per lb. Mycorrhizal fungi are specialized microbes that form a close association with most plants that grow on land. Mycorrhizal fungi are the most researched group of beneficial fungi in science with over 15,000 publications on the subject. 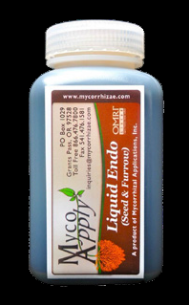 They naturally colonize roots and dramatically increase the root absorptive area resulting in an impressive increase in uptake of water and major and minor nutrients. 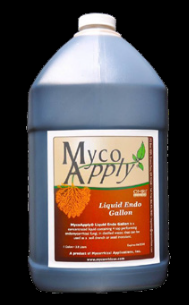 Once plants become mycorrhizal, there is no need to reinoculate since the fungus becomes a permanent part of the root system. Plants with mycorrhizal roots use fertilizer more efficiently and are more tolerant to drought, high salts, soil compaction, heavy metals, and organic toxins. In addition, plants are more resistant to nematodes and diseases. 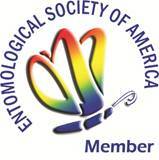 There have even been reports that demonstrated resistance to insects. There are 2 main groups of these important beneficial fungi. Endomycorrhizal fungi are microscopic and grow inside roots. They send out their own fungal roots and search the soil for nutrients, returning those to the plant. The plant, in turn, provides a home for the mycorrhizae, forming a symbiotic association. Endos form reproductive propagules inside roots and spores outside in the soil. Ectomycorrhizal fungi live on the root surface. They sometimes appear as a whitish growth. They form spores in underground structures (e.g. truffles) or above the ground. Certain forest mushrooms are mycorrhizal fungi. Both groups function the same way. Mycorrhizae function best when inorganic soluble phosphate fertilizer is used at moderate to low rates. In nature, mycorrhizae search the soil for nutrients and convert rock and organic phosphates to soluble forms and return to the plant roots. 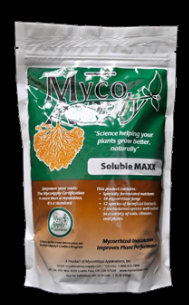 High rates of soluble phosphate fertilizer suppress the mycorrhizae. Reviewed here. However, mycorrhizae perform very well when used with organic fertilizers, rock phosphate, or low to moderate rates of soluble inorganic phosphate fertilizer. Likewise, certain chemical fungicides have been shown to suppress or kill mycorrhiza. Chemicals such as benomyl, iprodione, and PCNB should not be used. In contrast, Pythium fungicides such as metalaxyl actually promote mycorrhizae. Insecticides and herbicides have no or little effect on mycorrhizae. 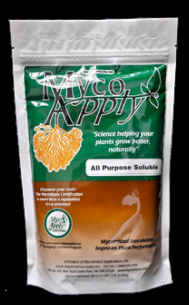 Biocontrol organisms like the Streptomyces in Mycostop Biofungicide are encouraged by mycorrhizae. There are many scientific publications demonstrating that higher populations of beneficial organisms inhabit the root zone when mycorrhizae are present.